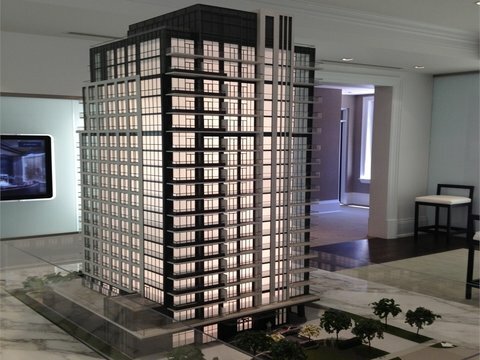 If the condo market is slowing, no one has told this to one Toronto luxury condo realtor, who has just opened a new branch office to meet the needs of what continues to be a strong market. Forest Hill Real Estate Inc. has announced the creation of a new branch office, Forest Hill New Developments (FHND) managed by Catherine Himelfarb Borden. FHND will exclusively, within Forest Hill Real Estate Inc., launch, market and sell pre-construction and new development condominium projects throughout Toronto. The premium residences of Imperial Plaza, Blue Diamond, Yorkville Plaza and The Cumberland Tower will all be represented and promoted by the FHND sales team, says Fingold. “We’re looking forward to having everyone benefit from this wonderful new dimension of Forest Hill Real Estate and to what it will add to our growing company,” he says. Fingold and his wife Ronni founded Forest Hill Real Estate over 30 years ago, and have an insider’s knowledge of Toronto’s condo building boom, having been in on the ground floor when it started in the mid-1990s. “I was fortunate enough to have been the co-developer of the premier residential condo development that started this building spree. The project known as ‘The Chedington’ was built in 1994-1996,” said Fingold, adding that condo buildings are numbered when they are registered, with The Chedington being #1100.